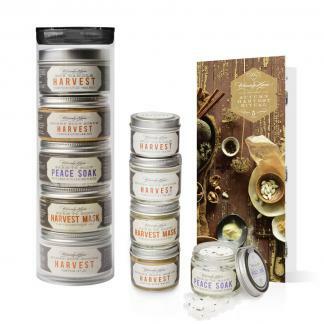 Cozy, warm, and snug you will be with Harvest Soy Tin Candles. Fragranced with a comforting blend fragrance and essential oils, Harvest combines rich pumpkin and warming spices into a classic fall treat. Perfect for chilly October nights, Harvest is the ultimate fall fragrance. Warm and cozy, lighting a Harvest Soy Tin Candle in your home engulfs you in rich comfort and soft light. Ideal for those who love spices and pumpkin lattes. No petrochemicals, additives, parabens, or dyes.